Minions, minions, minions! 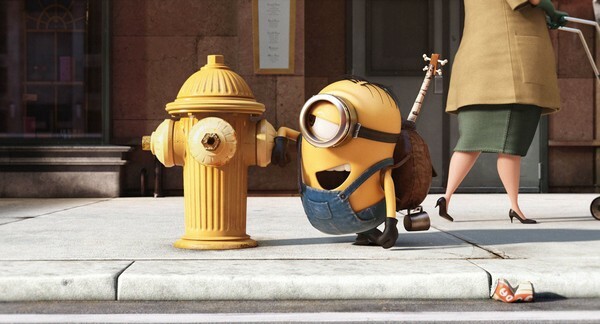 I’m so freaking excited about this summer’s Minions movie! I watched the Despicable Me movies with my son like umpteen times just because I love those silly little yellow (and sometimes purple) Minions! I definitely have Minion madness. How many times can I say Minions in the first paragraph before it stops being a word. THAT’s just how excited I am to see this movie! 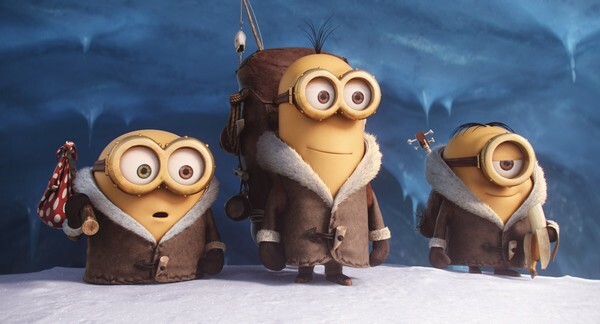 The Minions story, from Universal Pictures and Illumination Entertaiment, began at the dawn of time. The single-celled yellow organism Minion evolved through the ages, always serving the worst of the worst. Sadly, they’re always unsuccessful at keeping these masters. T.rex goes extinct, Napoleon gets thwarted and the Minions sink into a deep depression. After all, their whole purpose in life is to gleefully serve the biggest and the baddest of the baddies. Then one minion named Kevin hatches a brilliant plan of his own. He, along with teen rebel Stuart and lovable Bob, head out into the world to find a new evil boss for all the Minions to follow. They embark on a crazy journey to find a new diabolical master- Scarlet Overkill, played by Sandra Bullock. Their adventure takes them from the icy cold landscape of Antartica to the freaky landscape of 1960s NYC, ending up in the uber-hip land of London. There, they must face their greatest challenge ever: saving all of Minionkind…from annihilation. Can’t get enough of the Minions? While you’re waiting for July 10th to roll around, head over to the official Minions Movie website and check out all the fun that awaits you! This is one summer movie that I’ll definitely be taking Jake to see! Are you going to see the Minions movie when it comes out? Who is your favorite minion? We have been excited for this movie since we heard about it coming out soon this summer, the excitement is huge in our family, we love our minions. 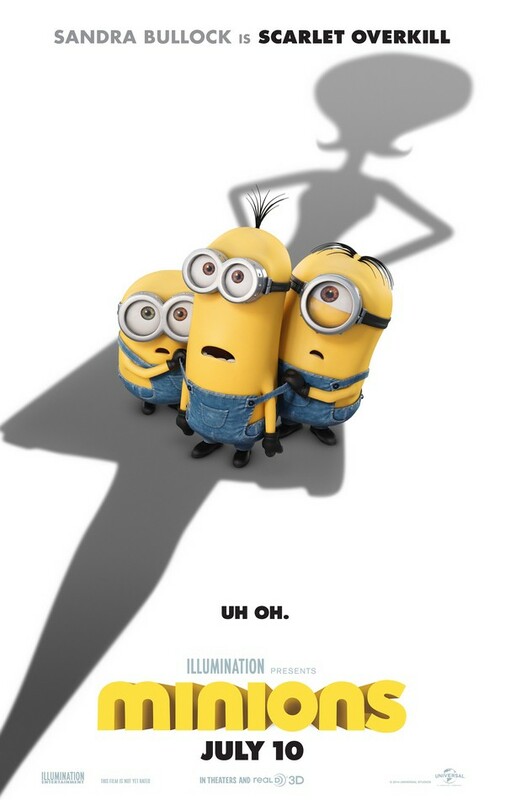 The Minions movie looks like a fun one to go see in July! We love this fun Summer movie, and we like Kevin a lot! One of the better family movies to have been released in a little while!